Nice job! The logo's perfect for representing Daniel's brand identity. 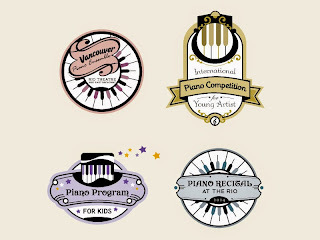 Looking at the logo design, I can say that there really is "music in colors". Great post. Kudos on the logo, I must say that it looks good. Thanks for sharing this interesting design process and I must say that the logo design is quiet good. Thank you :) I was just doing my best for it. =) Anytime! The process was interesting, that's why I feel like sharing this is a must. Nice. Good concept. I like the logo in the image "Final Logo Design" lower left corner. The curves in the top of the note are more dramatic than the other concepts giving it flow. Love the danielku logo. Like the color combination. You rocks. Great design work. keep it up.Thanks.